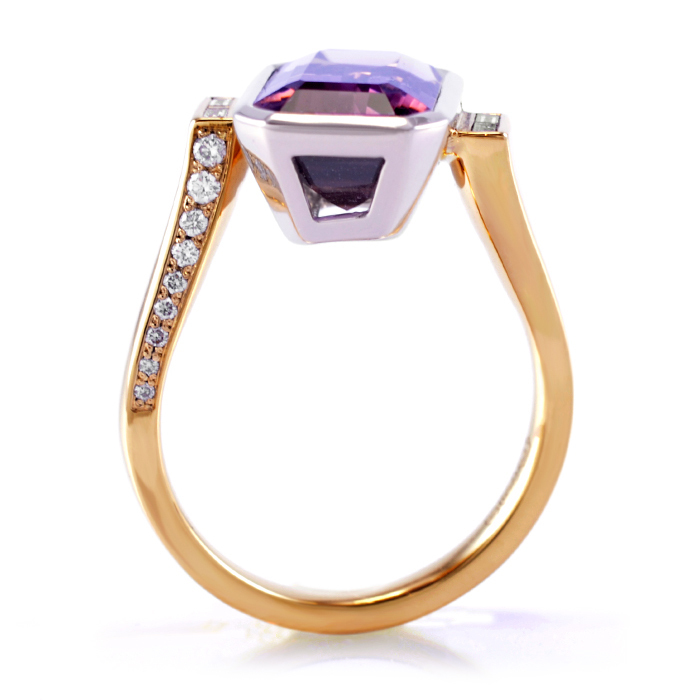 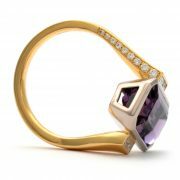 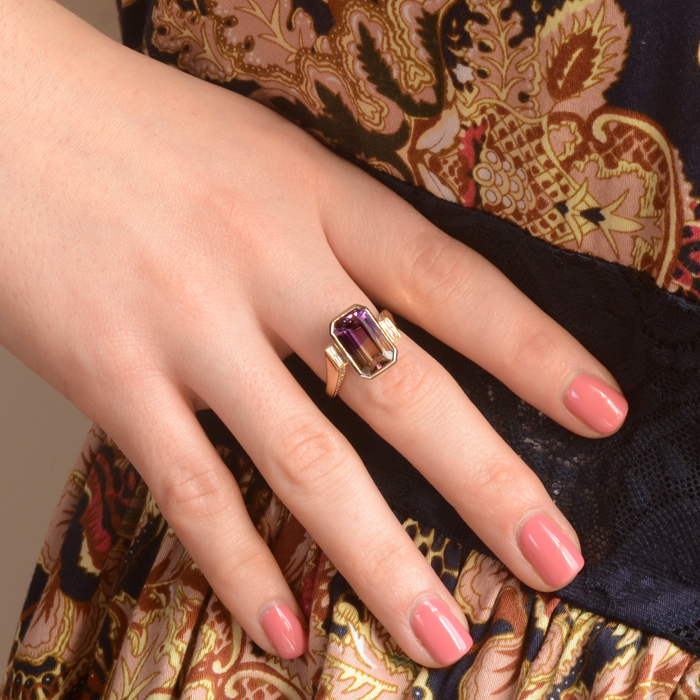 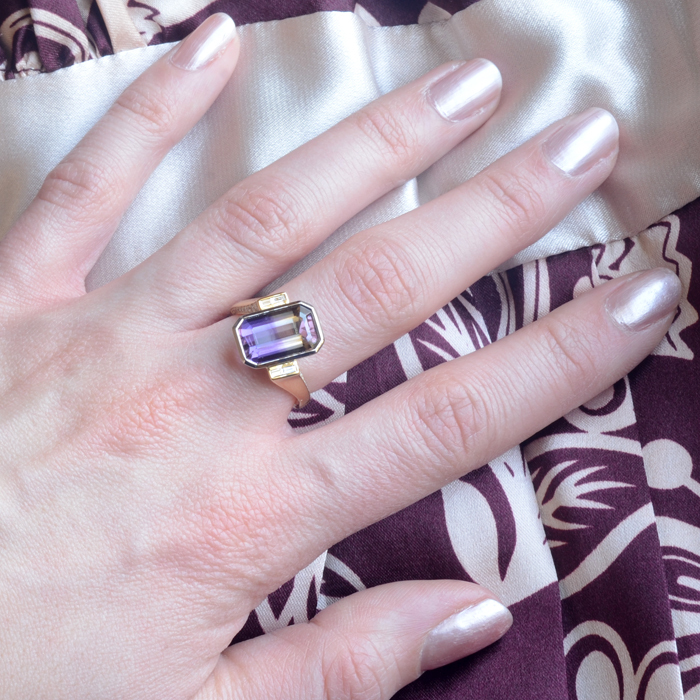 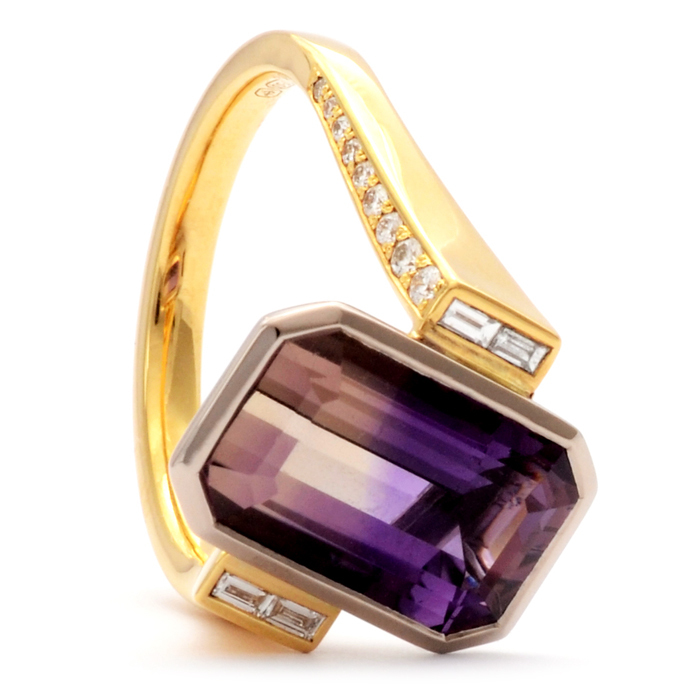 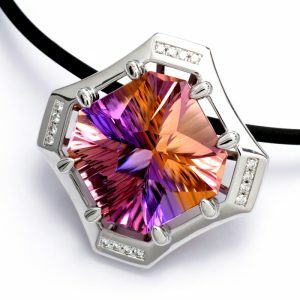 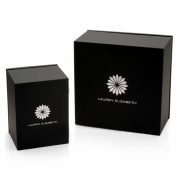 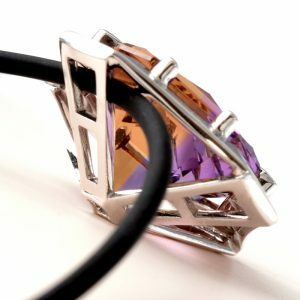 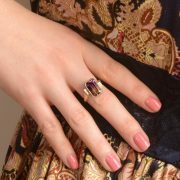 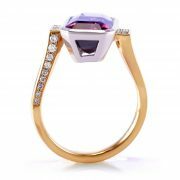 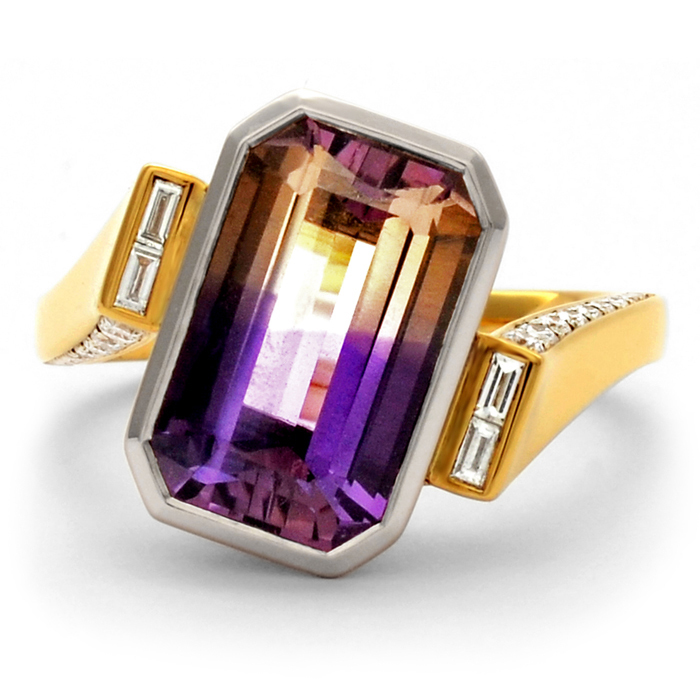 The stunning ametrine is the focal point of this architectural bespoke cocktail ring. 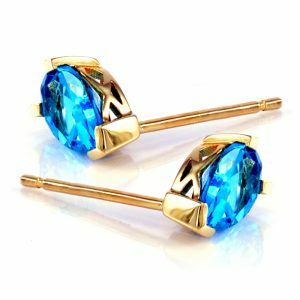 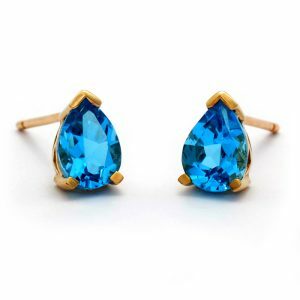 Ametrine is primarily found in the Anahi mine in Bolivia, and it first became famous in the 17th century when a Spanish conquistador received the mine as a dowry upon his marriage to Princess Anahi who was the daughter of the local chieftain. It is said that the blending of the two colours represents the combined love which the princess felt for her people and her foreign husband. 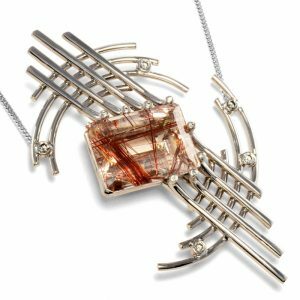 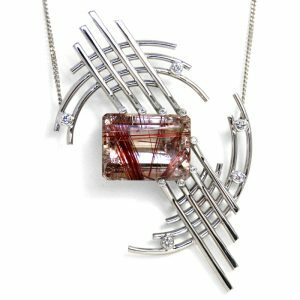 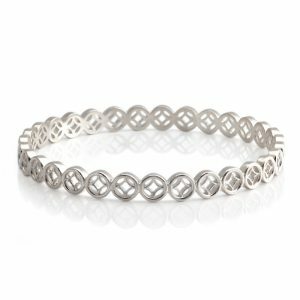 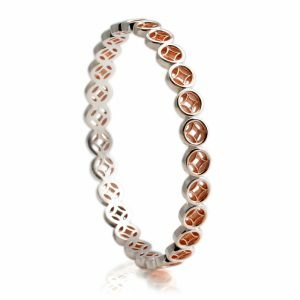 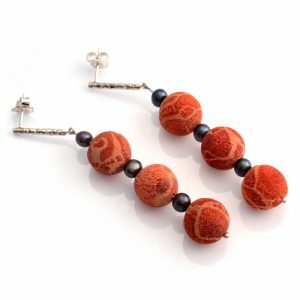 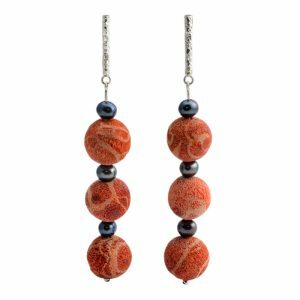 The combination of straight lines juxtaposed with curves conjures a contemporary representation of the opulent articles of jewellery which might have been borne as gifts to the Spanish Queen by the returning conquistadors. 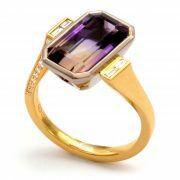 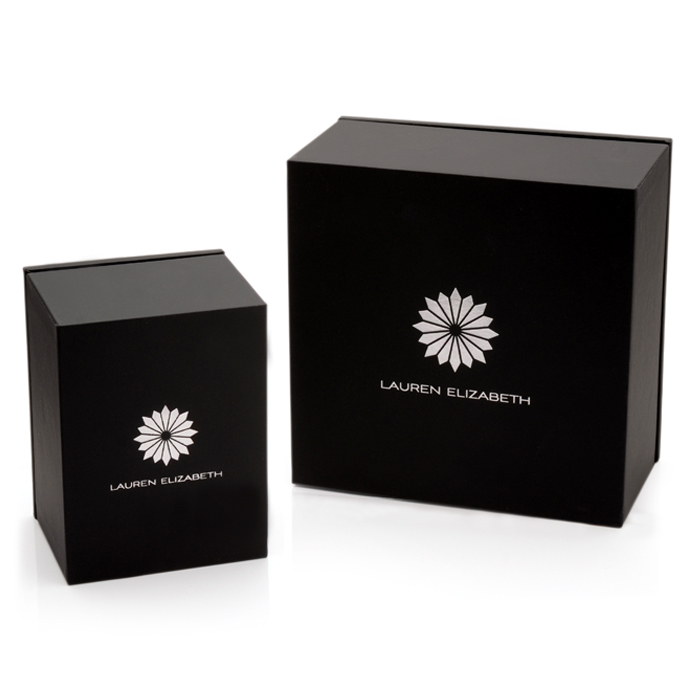 The slightly angled centre stone gives a modern twist to the design, with the straight cut baguette diamonds beautifully framing the sides of the emerald cut Ametrine. 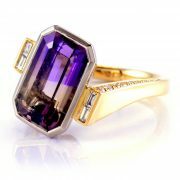 18ct yellow & white gold, featuring a full bezel set 4.22ct emerald cut natural Ametrine , accented with 0.25ct grain set round brilliant cut diamonds and flush set straight baguette cut G/VS1 white diamonds.